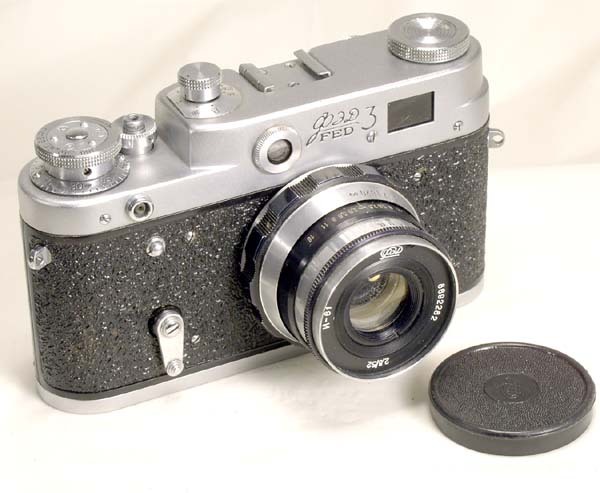 The FED-3 was the third FED model, preceded by the original FED and the FED-2. The camera was based on a FED-2 and has all its features - a removable back cover, a dioptric adjustment of the VF, a self-timer, a flash sync and strap lugs. 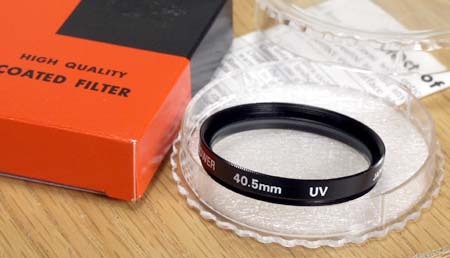 FED-3 was still compatible with the 39 mm Leica TM lenses, so it is classified as a Leica type camera. The FED-3 introduced a new feature - slow shutter speeds. The delay mechanism was similar to the one used in the Zorki-4. The body and the back cover were cast, the camera is rigid and stable. There were two major modifications of the FED-3. Type "a", an early version (early 60's) was similar to the FED-2 and had a winding knob. The rangefinder base was reduced in order to accommodate the slow speed mechanism. Type "b" had a crank instead of a knob and a tall top cover. The look and layout of the FED-3 type b was used in all the newer FEDs - FED-4 and FED-5. This FED-3 is a type a (early) model with a FED-2 type winding knob, it was made around 1960. Shutter speeds: B, 1 - 1/500. 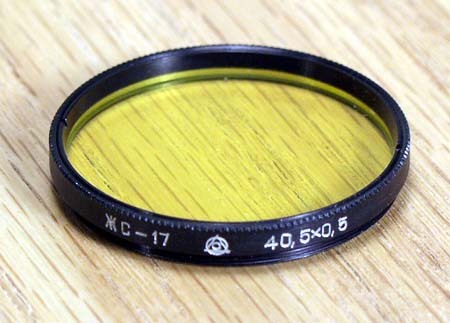 Lens: Industar-61, 52 mm, f:2.8, coated. 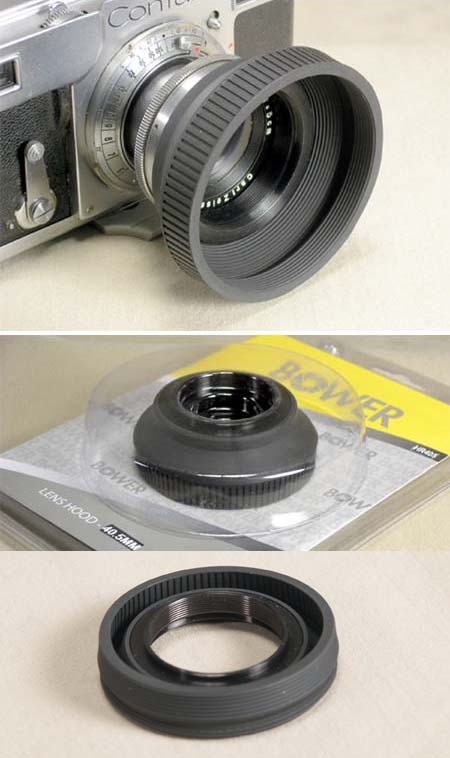 The camera is in exc.- condition cosmetically, the RF/VF is clear, the lens is clean as well. The leatherette is intact. This FED-3 co mes complete with a take-up spool, a plastic lenscap and the original FED-3 leather case (exc. condition). FED-3 is a classic rangefinder camera - it has all the features you need, a great lens, and you can use any Leica TM lens with it. Many thanks to Yuri for his excellent service. He has a v ..